With dental implants, people are able to smile, talk, eat and chew; and do it all with a natural look and feel. One of the best examples of medical advances in dentistry is dental implants. 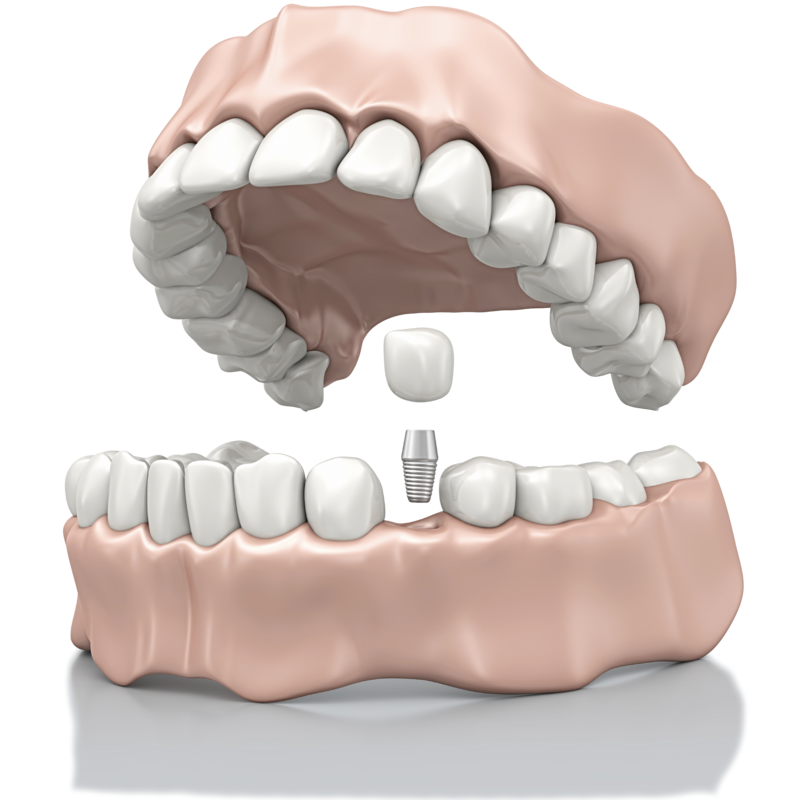 Dental implants are a reliable and cost-effective replacement for missing teeth. However, performing implants requires knowledge of the science behind implants as well as expertise in surgery and tooth restoration. Dr. Meyer and Dr. Johns both have years of experience restoring dental implants, including very challenging cases. Now in addition to restoration, Dr. Meyer and Dr. Johns surgically place the implants. For the patient, this provides the comfort, convenience and ease of getting implants from start to finish in the same office—instead of having to be referred to another surgical center for part of the procedure then return for restoration and completion of the implant process. A dental implant is a replacement for the root(s) of a tooth, and just like the root, the implant is secured in the jawbone and to crowns, bridgework or dentures. The science behind implants is the foundation of its success. Implants are made from titanium, a lightweight and very strong element with a special property that enables it to fuse to bone. Titanium is also biocompatible, meaning the body does not reject it. With its elite properties, titanium provides dental implants the highest success rate of any implanted surgical device. Titanium’s ability to fuse to bone means it actually works to stabilize bone and prevent future bone loss. Implants also help support the skeletal structure and soft tissue—gums, cheeks and lips. If you have suffered a tooth loss, or want to find out if dental implants are right for you, request an appointment online or give us a call at 417-881-6000.